Town Hall Terrace apartments, townhouses and patio homes give you the opportunity to enjoy all the best of Buffalo and Western New York without living in the city. With great amenities and a convenient location, you can be close to all the luxuries of city life but come home to the peaceful quiet of the suburbs. Escape the hustle and bustle of downtown at the end of the work day with just a short 10- to 15-minute drive out to Grand Island. Arrive at your apartment, townhouse or patio home and unwind in a safe, comfortable neighborhood. You can relax in a spacious newly remodeled town home, work out in the fitness center, swim in the heated pool, or walk your dog in the dog exercise park. Then, you can meet up with friends or family for an exciting evening in downtown Buffalo within minutes – possibly even faster than those you’re meeting, depending on traffic! 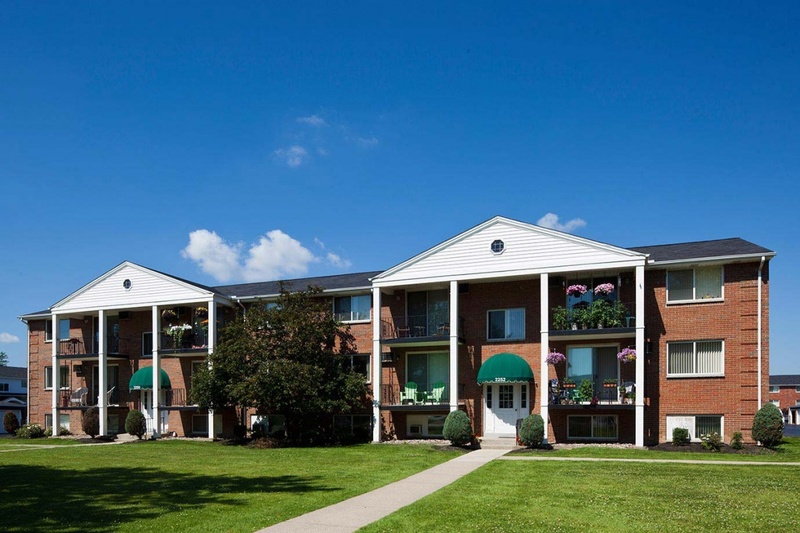 In addition to one-bedroom and two-bedroom apartments, Town Hall Terrace offers three-bedroom townhomes, as well – all located just outside of Buffalo’s city limits. There are also beautiful one-story patio homes with handicapped-accessible entrances offering additional convenience and luxury. For more information or to find out more about availability, contact Town Hall Terrace and find your new home today!